The Bluenotes were a vocal group from Asheboro in North Carolina consisted of Tom Underwood,Joe Tarner,Pat Patterson and Ralph Harrington.they started in 1955 with_Christmas Chimes/ Here'll Always Be A Christmas. 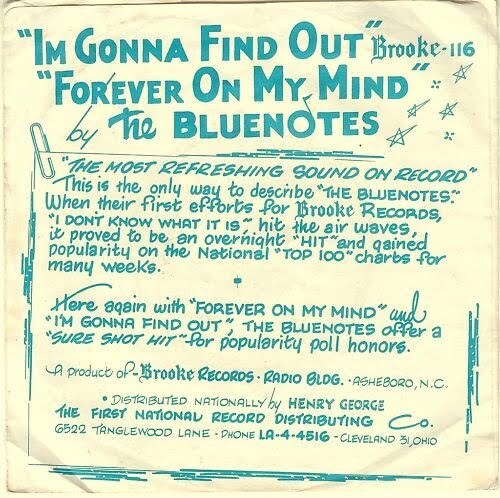 on Colonial Records with the classic rock & roll vocal group sound of those days, followed in 1956 by_On A Sleepy Sunday Afternoon/Who's Gonna Sing Your Love Songs.these two singles were released as THE BLUE NOTES. -Page One/Mighty Low. Featuring Doug Franklin. 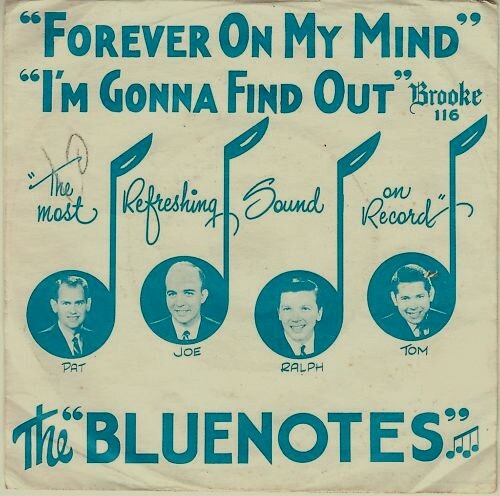 Johnny Dee & The Bluenotes. Teenage Queen/It's Gotta Be You. -I Wonder Who's Kissing Her Now/I Used To Wonder. 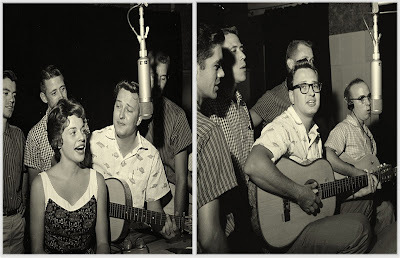 Left;Ebe Sneezer aka Johnny Dee,Cecilia Batten and The Epidemics aka Bluenotes on one Colonial recording session. Right;Ebe Sneezer aka johnny Dee and The Epidemics aka Bluenotes colonial recording session. 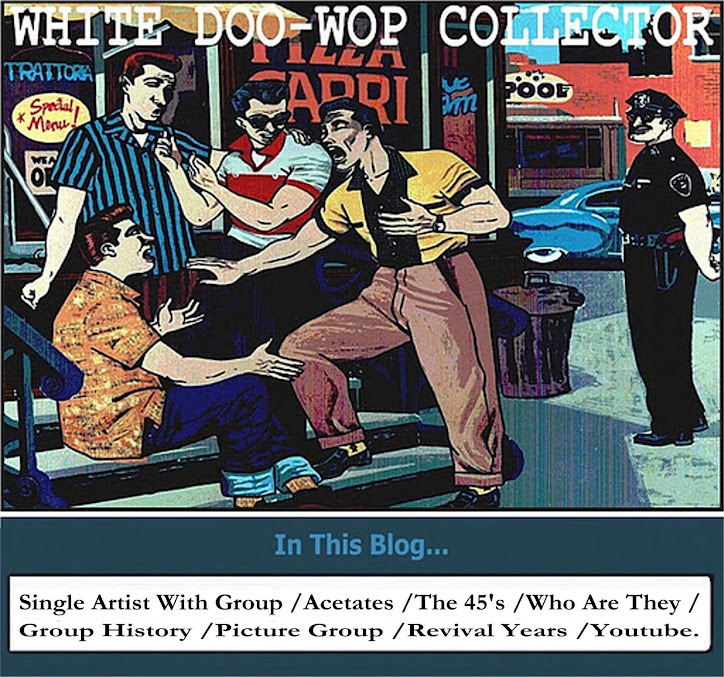 Also in 1958 back up to Ebe Sneezer aka Johnny Dee under the group name of THE EPIDEMICS. - Asiatic Flu / That's All I've Got. 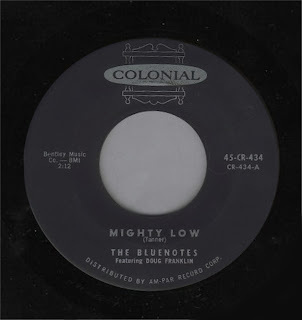 And recorded two own records for Colonial under the group name of THE BLUENOTES. -You're A Tiger/Let Her Know. -I Waited /Never Never Land. 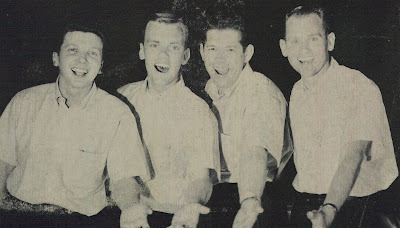 In 1959 the group sign with Brooke Records and change their sound to a pop vocal group sound. -I Don't Know What It Is/Summer Love.Brooke Records-1959. 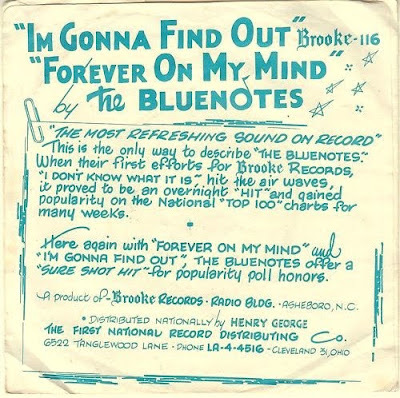 -I'm Gonna Find Out/Forever On My Mind.Brooke Records-1960. 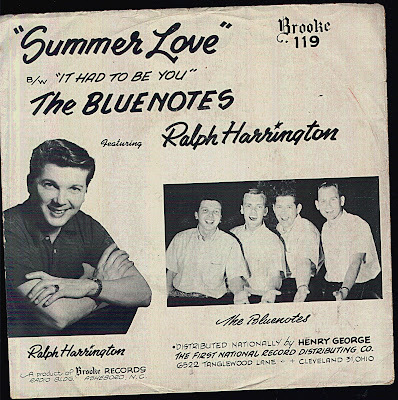 -Summer Love/It Had To Be You.Brooke Records-1960. 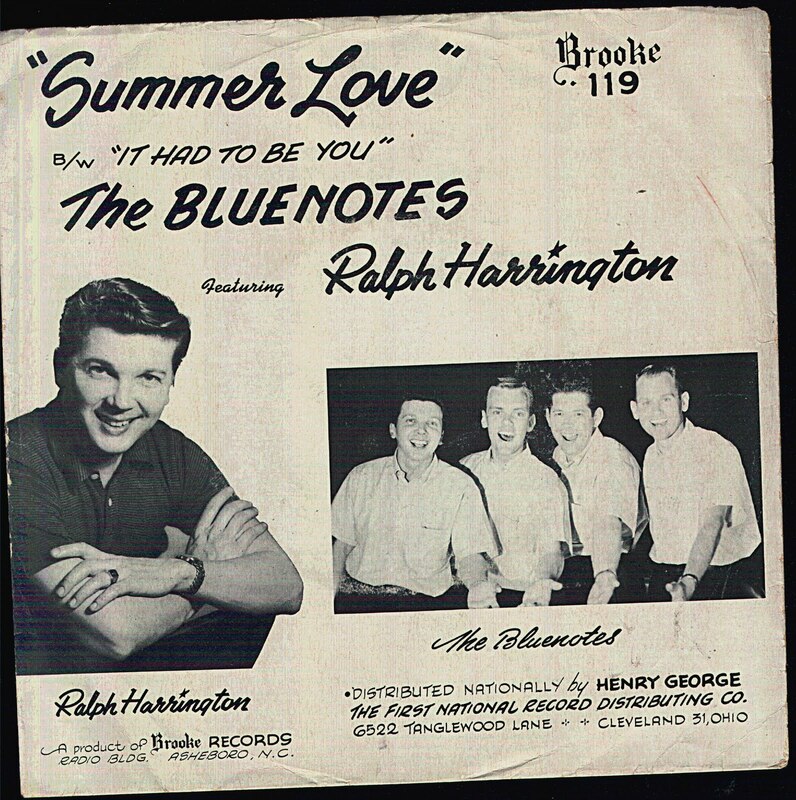 (Featuring Ralph Harrington). 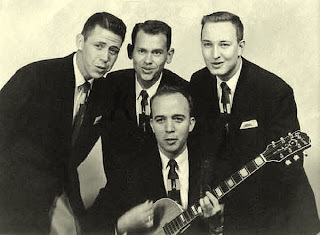 In late 1959 charted #61 nationally with their side _I Don't Know What It Is.